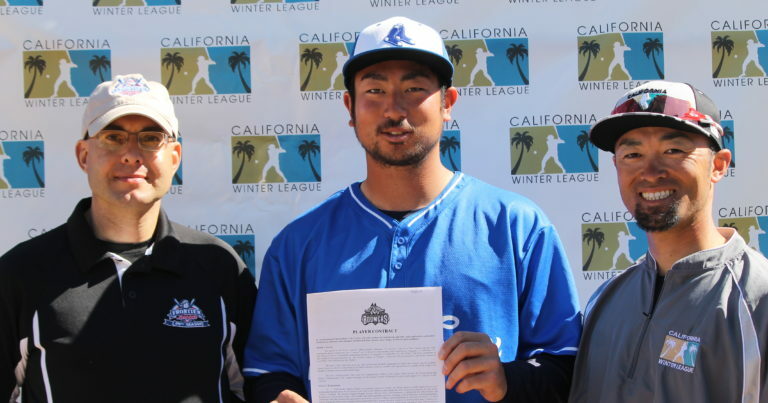 PALM SPRINGS, Calif – Washington Blue Sox Right Handed Pitcher Shinya Toyama has agreed to a contract with the Schaumburg Boomers of the Frontier League. 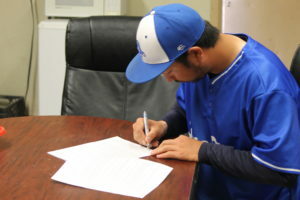 The Tokyo, Japan native is “glad and excited” to be able to continue playing baseball in the United States, he said through his Manager and translator, Yuki Yasuda. The 6’1, 205 pound 22-year-old had never played baseball in the United States before prior to coming to the California Winter League. He had most recently been playing at Kanagawa University, a Private University in Yokohama, Japan. Toyama has appeared in four games, two of those starts, for the Blue Sox during the 2019 CWL season. In 11 innings, he has allowed five hits and five runs, while striking out a team-high 16. Toyama also has a 1-0 record with a 3.18 ERA. The Boomers play Boomer Stadium in Schaumburg, Illinois. They are coming off a 45-51 season, in which they finished fourth in the Frontier League East Standings.